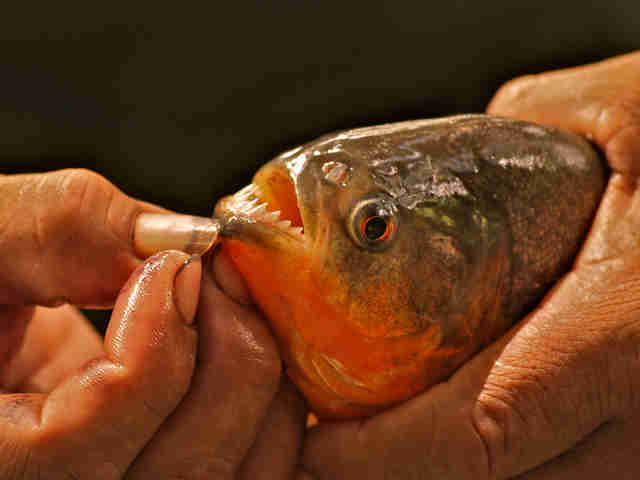 Man Admits To Smuggling Nearly 40,000 Piranhas Into U.S. 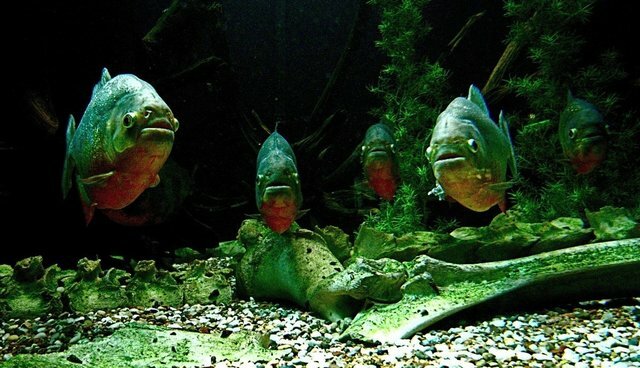 Throughout their native South America, piranhas are well-known for the vicious way they swarm their prey, with humans occasionally falling victim to their razor-sharp teeth. But that fearsome reputation apparently wasn't enough stop a New York City man from smuggling thousands of the aggressive fish into United States. According to NBC New York, Queens fish distributer Joel Rakower admitted to illegally importing a whopping 39,548 piranhas into the country between 2011 and 2012. Working with a supplier in Hong Kong, Rakower conspired to falsify labels which identified the illegal fish as a harmless species to avoid detection, then sold them to exotic fish collectors. Rakower pleaded guilty to smuggling charges made by the U.S. Department of Justice, agreeing to pay more than $70,000 in fines and restitution. He awaits further sentencing later this year.